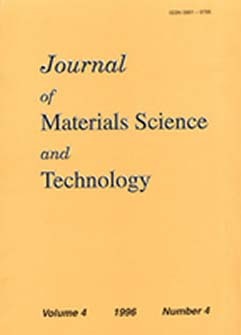 “Journal of Materials Science and Technology” is the most significant periodical in metal science in Bulgaria. It is a scientific journal of international characteristic. Its subject-matter covers scientific and engineering novelties related to investigation and use of metals, alloys, engineering ceramics, polymers, composites, new materials, techniques for new characteristics. It is issued since 1993 in English language, with frequency 4 numbers per year. The journal is published by the Institute of Metal Science “Acad. Angel Balevsky” at the Bulgarian Academy of Sciences. Scientists and university lecturers from about 40 countries publish in the journal their achievements and ideas. The relative share of the foreign authors exceeds 50 percent. “Journal of Materials Science and Technology” is circulated through subscription and international library exchange of publications in universities and research institutes in 17 countries. The publications are observed, processed and circulated in electronic and printed versions by 12 international abstract transactions. 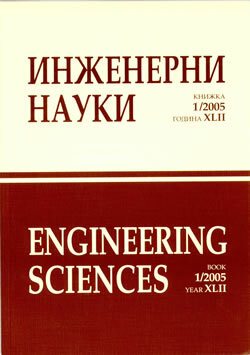 “Engineering Sciences” is the most significant Bulgarian academic journal in the field of engineering sciences. During the period 1964-2004 its title was Technical ideas. The journal is publication of the institutes in the line “Engineering sciences” at BAS. Publisher of the journal is the Institute of Metal Science at BAS. It is published in Bulgarian and English languages with frequency 4 issues annually. The subject-matter covers: material science and technology of materials, automation and telemechanics, information technologies and computer engineering, water issues, electrotechnics, urbanization and architecture, other areas of the engineering sciences. 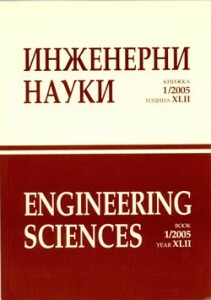 “Engineering Sciences” is circulated by subscription and international library book exchange in universities and research indtitutes in 13 countries. The publications are observed, processed and circulated in electronic and printed versions by 5 international abstract transactions.